Qucharitas is a family business, created in 2014, dedicated to the production of ice cream, desserts and much more. All with natural ingredients, fresh and from the region. 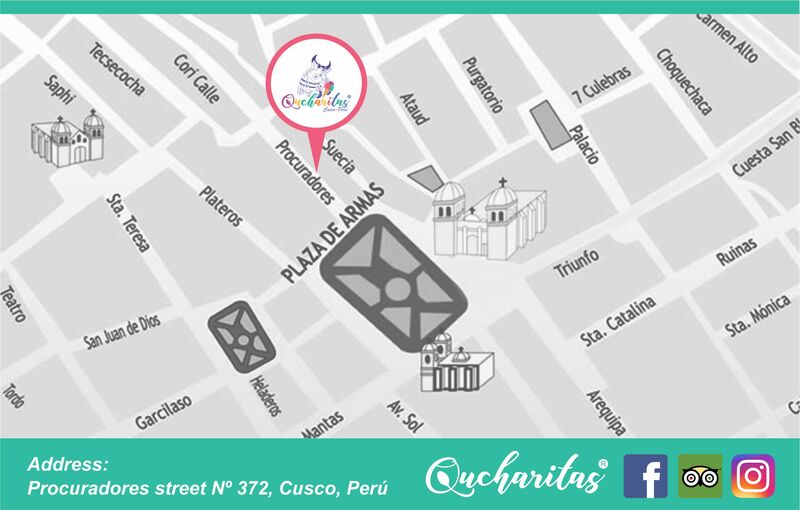 Located in the historic center of the city of Cusco, come and enjoy our cozy and familiar place and feel at home. We are the pioneers in natural handmade ice cream with Asian techniques and Andean products. With more than 100 possible combinations, without chemicals or preservatives and totally original.